Real Estate & Property Management > Property Management Inc.
As one of the fastest growing franchises in the country, Property Management Inc. is truly in a class of its own. PMI’s proven, comprehensive franchise program gives you the tools you need to get started on your path to success. The benefits you will receive from PMI’s property manager franchise system will give you the competitive advantage required to succeed in the property management industry. PMI’s property management franchise system is comprised of four core systems that when combined together deliver a turn-key business system to the franchise owner. These systems are what ultimately give you an advantage in the marketplace. Why A Property Management Franchise? Regardless of whether the real estate market is booming or busting, more than 1/3 of the nation’s population (that’s 100+ million people) are renters. And MANY of the owners of these properties NEED knowledgeable and professional property management services. What’s in it for you? Well, are you Interested in a business that can provide consistent, year-in and year-out recurring, residual income that comes from assets other people own? WE ARE! PMI’s main priority is to help increase the value of your community. Our managerial staff provides a variety of ways to help your HOA achieve this goal. 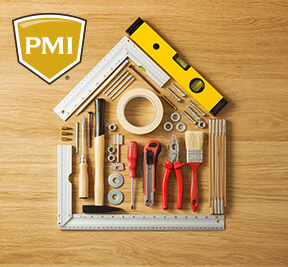 One of the best reasons to join the PMI franchise group is the fact that the road that leads to a successful business has already been laid out for franchise owners after years of trial and error in the property management industry. We know how to help new property management franchises business owners avoid the pitfalls, expenses, and risks of starting a business from scratch. PMI’s franchise program supports franchisees every step of the way on their path to building a successful property management business. Owning a Property Management Inc. franchise is a smart way to go into business for yourself – but not by yourself. Many have the impression that they have to be an expert in marketing, finance, business management or even real estate to be successful in property management. Not with Property Management Inc. 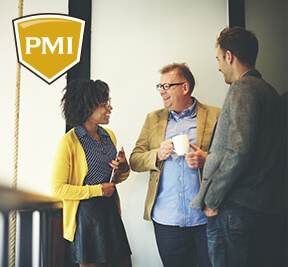 When you join PMI, you learn everything you need to know and PMI’s expert team provides the expertise needed to achieve success in the industry of property management. You receive full property management training from industry experts, along with a comprehensive recipe for success. We provide you with a VERY BIG OPPORTUNITY. A property manager is an asset manager, and with our franchise we help you gather assets and monetize these relationships using our industry leading 50+ recurring revenue streams. Systems (no cost software solutions, social media, digital marketing, proprietary programs, etc. ).